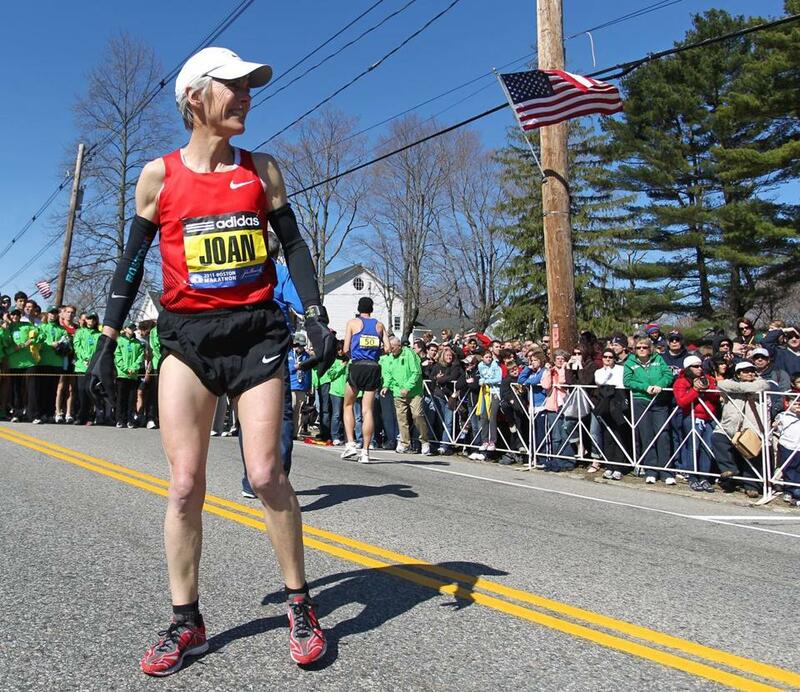 Joan Benoit Samuelson warms up prior to the 115th running of the Boston Marathon in 2011. City Councilor Matt O’Malley is looking forward to meeting Joan Benoit Samuelson. O’Malley will be honoring the celebrated marathoner Wednesday with a resolution proclaiming it “Joan Benoit Samuelson Day” in Boston. It just takes him awhile. O’Malley’s best Boston time was 4 hours and 17 minutes, but he says he most often clocks in closer to 5 hours. By contrast, Benoit Samuelson, who lives in Freeport, Maine, won the Boston Marathon in 1983 with a time 2:22:43, a record that wasn’t broken for 11 years. She also won the first women’s Olympic marathon in 1984 with a time of 2:31:04.